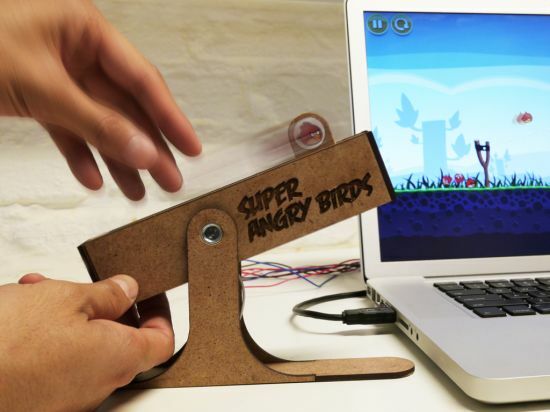 Angry Birds with its addictive game play and comical style is already a hit among online gamers, but how about using a USB slingshot to launch birds at pigs. 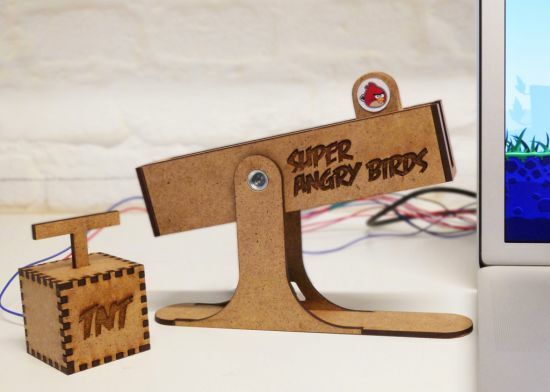 Developed by Hideaki Matsui in collaboration with Andrew Spitz, the “Super Angry Birds” is a force feedback USB controller that lets you feel the power of an original slingshot while playing Angry Birds on your computer. Replicating all the controls, such as the pull and the angle, of the bird, the Super Angry Birds employs a motorized fader (used in audio mixing consoles) to generate the special power. Featuring an Arduino-based microcontroller, the Music & Motors from CIID, to control the hardware, the USB controller simulates the feeling of an original slingshot to indulge the user fully in the game.